This has been a hard year for all of us. I’m hoping to escape talk of Brexit, departed musical legends and freezing rain with a four night stay in the immersive adult playground of Las Vegas. 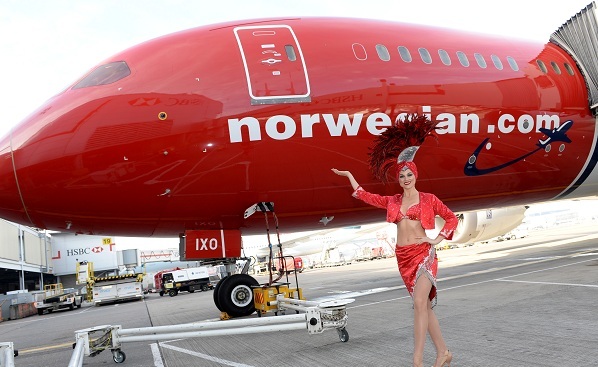 And with Norwegian Airlines’ new affordable long-haul route from London Gatwick to McCarren Airport, Las Vegas, there’s now more cash to spare for living the high-life when we get there. From £179 each way, a comfortable, ten-hour flight on-board their brand new Dreamliner is the ideal way to travel. 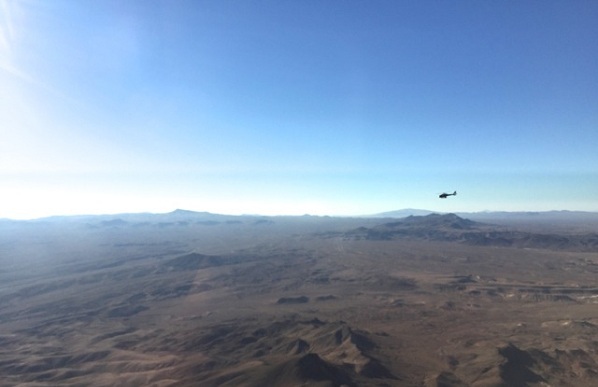 We land mid-afternoon in the middle of the desert and head straight to Paradise, Nevada. An expert, full body massage in Four Seasons’ newly refurbished spa is the perfect way to start our minibreak. Susannah mixed hot candle wax with my choice of essential oil and massaged away all the knots and aches; the tribulations of the real world start to melt away. The womb like relaxation rooms and a detoxing eucalyptus steam room add to the comforting, revitalising experience. Next, nestled in the heart of The Cosmopolitan Hotel Casino Resort, through a tiny jewellery store lined with iconic vintage guitars, Beauty & Essex offers delicious contemporary American cuisine. This is where the beautiful people are eating – wear your best little black dress and be prepared to still be outshone by the incredibly attractive servers. Sharing plates and cocktails makes for a lively atmosphere enjoyed by all ages. The plush, vintage décor serves as an Instagram-ready backdrop to an exciting culinary treat. 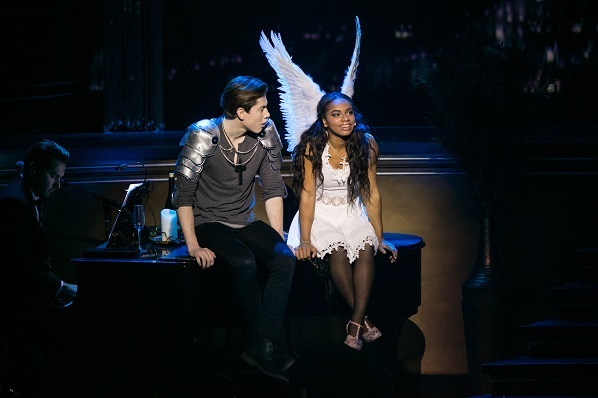 Flashing lights, monstrous billboards, show tunes playing on the sidewalk and dancing fountains make for a constant carnival atmosphere and welcome distraction from reality. It’s Thursday night and Vegas is in full swing. 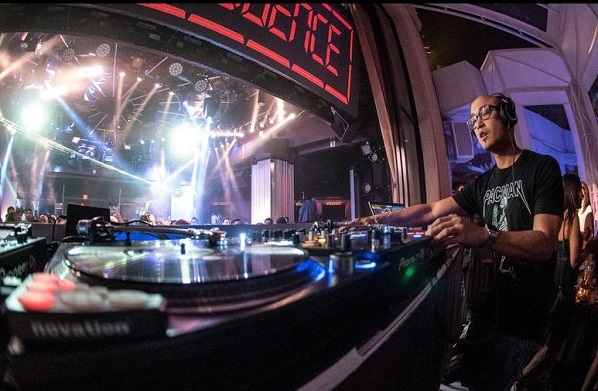 We head through the huge casino lobbies to dance the night away at Intrigue nightclub, located in one of Las Vegas’ most luxurious resorts, Wynn. Exhausted but content, I take in the fabulous views down the length of the strip through the full-length window on the 37th floor of my Four Seasons hotel room. Back at the hotel amid the tasteful décor and wrapped up in a bed that feels like a hug, the room acts as a sanctuary from the madness of the bright lights below. I sleep like a baby and am already forgetting the woes of 2016. Not quite adjusted to the time difference, the 07:00 pick-up for our Maverick Helicopter tour isn’t an issue. We take an incredibly exhilarating, unforgettable flight across the Mojave Desert, over the Hoover Dam and through the Grand Canyon. The ‘Top Gun’ theme blares through our headsets and our pilot, Jason, acts as our good humoured tour guide. Vast sways of the Mojave Desert give way to the imposing valleys of the Grand Canyon. We disembark for a champagne picnic; the backdrop provides an awe-inspiring opportunity for photo taking and life contemplation. On the return flight, Elvis croons ‘Viva Las Vegas’ through our headsets and the city emerges like a glistening mirage on the horizon. This is a truly resplendent experience and one that will stay with me forever. It wouldn’t be a holiday in Vegas without taking in a show. Sat at a table sipping on signature cocktails, Baz – Star Crossed Love is a showcase of intertwined love stories from some of Baz Lurhman’s classic films. I’m suitably blown away by the talents of the all singing, dancing and glitter covered spectacle that ensues. Showing at the Venetian Resort, a leisurely dinner at Mercato Della Pescheria is just a short walk away. Underneath the sky painted ceiling, next to the water filled canal, on the cobbled pavement floor I dine on immaculately prepared, incredibly fresh sea bass. Completely enveloped in the bizarre alternative reality, I lose myself in the sounds of Sicily wafting over from the nearby live band. Already far cooler than the opulent Strip and an established hipster magnet, Downtown Las Vegas is currently enjoying investments in art, culture, education and healthcare, which are reviving this once neglected area of town as an attraction in its own right. We stayed at the newly renovated Downtown Grand (formerly Lady Luck Hotel & Casino) for the second two nights of our trip. Comfortable, large rooms are a stone’s throw from the bustling Fremont Street (the provided ear plugs were gratefully utilised). Modern art decorates the lobby and a neat roof-top pool creates a kitsch but agreeable atmosphere. 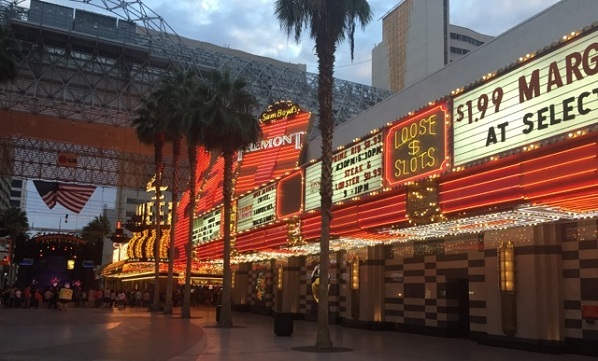 The Downtown Grand Casino, with more affordable minimum bets and doors that open to the street, makes for a less intimidating debut into the gambling world than on the Strip. I try my hand at black jack. The friendly croupier and fellow table-mates are more than willing to explain the rules and provide tips as we play. Despite this, I soon lose all my chips and a good few of my fellow gambler’s too but have great fun in the process. Happy that a gambling addiction isn’t on the cards for me (it’s far more fun when you win, and ‘Lady Luck’ I certainly am not) I soon get invested in my friend’s game. But it’s not all drinking and gambling in Downtown Vegas. New galleries and museums are popping up quicker than you can shake a dice at. We visited the Neon Museum and learn about local history and the beautiful iconic signs that give Las Vegas its aesthetic. Giselle, our guide is knowledgeable and patient as we work our way round the Boneyard, snapping photos of the signs from every conceivable angle. With the fun all over, Norwegian airlines’ civilised 17:00 take-off time means we’re able to fit in a little shopping before we leave. Vintage boutique stores in Downtown Las Vegas Arts District and the Premium Outlet Village North offer plenty of temptations. However the post Brexit exchange rate meant our dollars didn’t go as far as we hoped. On the bright side this will work in your favour when you win big in the casinos! Despite or perhaps because of the full-on sensory bombardment, I leave Las Vegas feeling refreshed, revitalised and ready for anything the remainder of 2016 has to throw at me. The new route will mark the start of the UK’s cheapest direct flight to Las Vegas from just £179 one way. Norwegian operates two weekly flights direct to Las Vegas, departing on a Monday and Thursday, throughout winter. All flights are operated by a fleet of brand new Boeing 787 Dreamliner aircraft with two cabins – Premium and economy. Find out more here or discover more about visiting Las Vegas on the official website.